Welcome to our website, the fuzziest site on the internet! 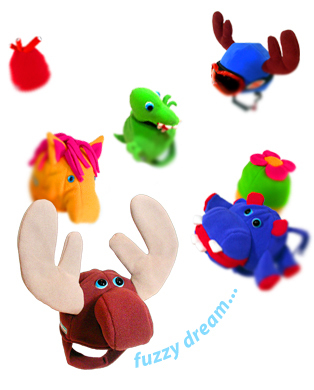 Fuzzy Moose Productz Inc. manufactures an array of fun products for heads of all sizes — Hatz, Beanz, Capz and Tamz. We also manufacture Coverz for bike and ski helmets. Take a look at the Fuzziest Hatz in the World by clicking on the PRODUCTZ box below. Copyright © 2003 Fuzzy Moose Productz Inc. All rights reserved.